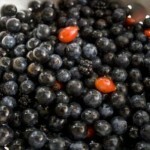 I have been so busy this year that I have run out of time to make my own sloe gin. It’s not the end of the world though as I have some of last year’s stash left and once that’s gone there are some delicious ready steeped and drained sloe gins around. As much as I enjoy a classic sloe gin and tonic there’s much enjoyment to be had mixing up something different. One place you can find some inspiration for new drinks to try is thebar. I found their recipe for a slojito and just had to give it a try! Add the basil and brown sugar to a cocktail shaker or big glass. Use a muddler (or the end of a rolling pin if you don’t have one) to bash the basil and sugar together. Pour the gin in with the basil and add several ice cubes to the shaker. Give everything a good shake (or stir if you’re using a glass) then strain the gin into another glass and top up with the soda water. If you fancy giving some of the other festive cocktails a try on thebar you can find plenty of recipes here. The combination of basil with the sharp, sweet sloe gin and the slight caramel flavour with the brown sugar was divine and a really nice alternative from the mint that you would normally use in a mojito. The joy of this particular cocktail is that if you want to make a virgin one, just use some blackcurrant cordial instead of the sloe gin (only 25ml though as it’s much sweeter) and it’s so good! As I’ve got some mint in the garden and occasionally buy basil I can see this slojito making a few appearances in my kitchen using either herb. An ideal long drink to sip snuggled up on the sofa with a good film when it’s cold outside. This is a sponsored post with Diageo and I was reimbursed for my time and ingredients. All opinions and words are my own. Thank you for supporting the brands that support me. It’s fun to mix things up and play around with drinks sometimes! I’ve never even heard of sloe gin, but it sounds like I need to change that right away because this drink sound super delicious! i didn’t even know a person could make her own sloe gin, much less that there was timing for it! 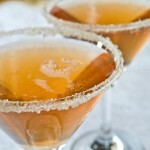 i love the name of this drink and its components–great post! I just had the type of day where I need at least two of these. Yum!! 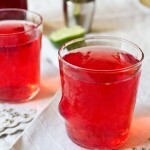 This sounds really good Caroline, have not had sloe gin in ages. What a lovely drink with basil and brown sugar! It sounds refreshing. Sloe gin is good stuff. Not nearly as popular in the US, though, as in GB. We’re the losers. Anyway, this is a fun drink — thanks.